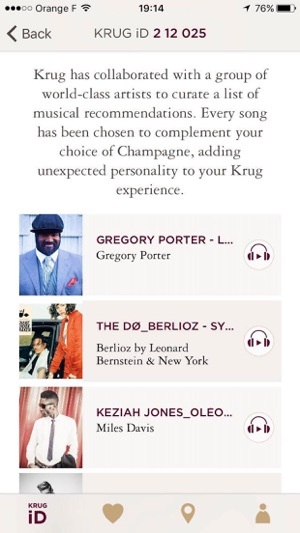 Let your Krug experience go further with the Krug app. 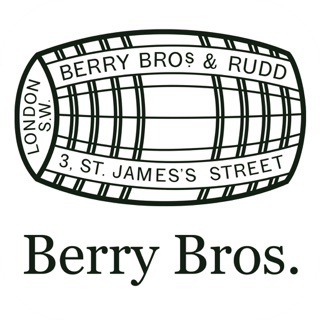 Scan or type the six-digit Krug iD found on the back label of your bottle to discover its unique story and journey further into the universe of Krug. Krug Cellar Master Eric Lebel reveals the details of the blend, the highlights and challenges of the growing season and how they shaped or were overcome in the creation process, giving rise to a distinct expression of nature. Enhance your tasting experience by pairing your Krug Champagne with music. Let the flavours and aromas in your glass resonate with the sounds in playlists curated by musicians invited by the House. From the simplest to the most sophisticated, discover ingredients and dishes that promise delectable pairing with Krug Champagnes. Suggestions for the right temperature and glassware ensure an unforgettable tasting experience. 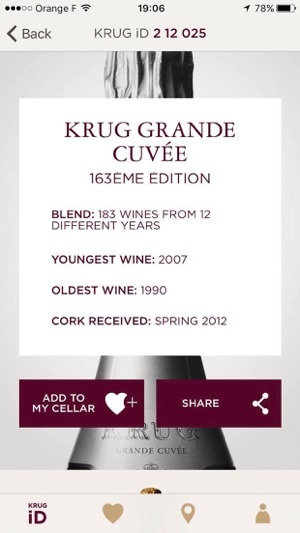 A virtual cellar to keep note of the Krug Champagnes you have enjoyed or wish to uncork in the future. 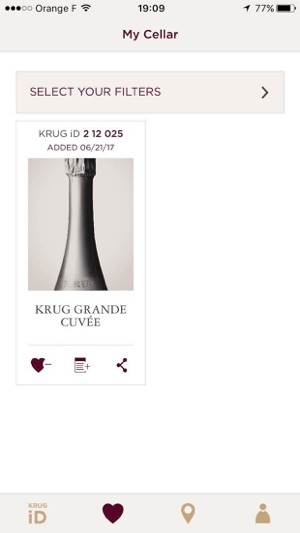 Share your experiences with other Krug Lovers using sharing features. 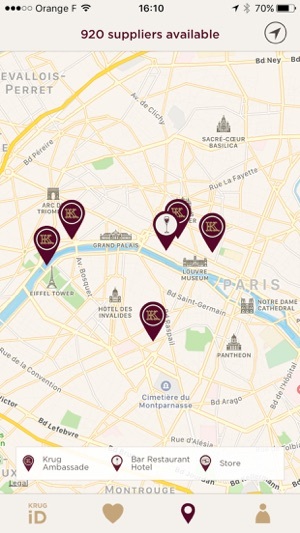 Locate a Krug Ambassade, bar or restaurant in which to savour Krug or a shop where you can purchase a bottle. 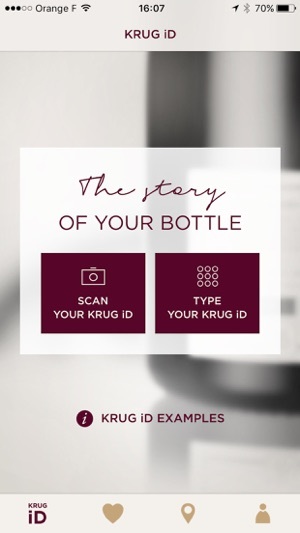 I like what Krug set out to accomplish with this app and, in a much broader sense, with their bottle ID system: to create a wider social experience with the consumption of each bottle of wine. 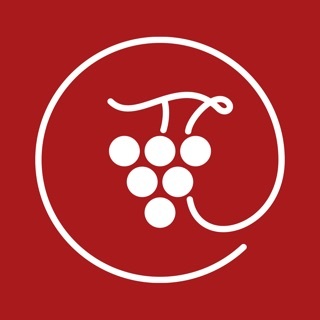 This app will be 5-stars, in my opinion, when it becomes compatible with the iPhone X. I enjoy it so far, though. Cheers.